I am over the moon to take you with me on a little journey to France and so so grateful to be kicking off the blog tour for the last installment of one of my favorite series! Pop a visit to the fabulous Joanne @My Chestnut Reading Tree for the other stop of the day! This summer, escape to the rolling vineyards of France for an utterly uplifting read. Fans of Jenny Colgan, Debbie Johnson and Nick Alexander will want to join Emmy for a pain au chocolatin the sun-drenched garden at La Cour des Roses. There are books that take you on vacation from the moment your eyes fall on them. The first two books in Helen Pollard’s series had this effect on me. I am glad to inform you I took off safely and happily to La Cour Des Roses again and had the best of times! Emmy has it all! A beautiful guest house, a wonderful partner with whom to make it the best place for travellers, a handsome and everything-but-boring accountant soon-to-be husband, a new and promising business… I could have just read her every day life in Pierre-La-Fontaine forever! Helen Pollard has the key to the French paradise and opens the door with an easy-flowing and charming writing style that makes you want to wish you could book a room until the end of time! There was no doubt the French knew how to enjoy a leisurely lunch. I admit that among the hundred reasons why I was eagerly waiting for Summer at the Little French Guesthouse, the main excitement came from knowing I would embrace and share wine with some of the best and most realistic characters I have encountered. Personalities, hair, jobs, everyone has a role, everyone is equally important to make this close-knit community the wonderful place it is and this time again, there is room for everyone, as well as surprises! Some I saw coming, some that made me gasp, some that made me smile! Helen Pollard brilliantly depicts a life with its ups and downs, its sudden changes of plan, and offers a large part of the cake to some of the most hilarious situations ever! I could picture everything so vividly I felt I had never left the place, and I became a part of this vacation too. That’s how magical this series is. It shows you a messy and crazy life, but with croissant and a strong coffee so you don’t ever want to leave, no matter what happens! 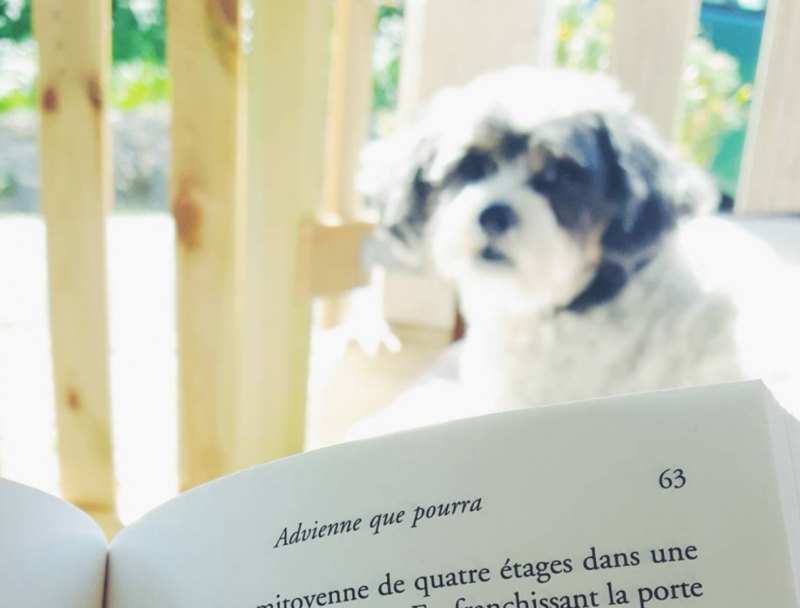 I am so used to all those characters by now that my heart was filled with love, with pain, with worry, as I read page after page about a simple French life. Well, not so simple!!! I adored every subplot! Yes, Emmy is our main character and I wish we were friends in real life. She’s adorable, her relationship to her mother is as complicated as mine, and she can’t make eggs! She has a way to make the simplest thing funnier, brighter, and yet, she does have her problems and she is the perfect example of a young woman relying on a fabulous set of friends, trying to make sense of life, and wearing her heart on her sleeve. Here, she has so much in her hands I felt she was a wind passing by and I was waiting for the moment she would explode! I just cannot express how refreshing it is to have a story that gives you holidays as they truly always happen: disasters, arguments, misunderstandings, you have them all. Then you are reminded of the true meaning of a holiday, and how your loved ones can turn everything around and make the world a better place. I felt Rupert had a slightly smaller but just as interesting part in this third installment, looking over things with wisdom and always the right thing to say to make the reader laugh! Rupert being Rupert is what I wanted, and I was not disappointed! I used to see Mrs Dupont very clearly in my mind, and her story just pulled at my heartstrings in a way I wasn’t expecting. She is a lot like a wonderful aunt I am lucky to have, the “perfectly strict on the outside, but with a heart of gold and the French wisdom that comes with a life under our sun” on the inside. I wished I could squeeze her tight, a lot. No, I mean it, really, even if neither her or my aunt are very touchy-touchy!!!! It was very exciting to meet characters I had heard of in the previous books, and Helen found them a place without having to put some of my favorites on the bench. Kate was just as I imagined her to be, and Alain’s family brought a new light to his character, and to the events at La Cour Des Roses! Everyone moved me in a different way. I think what makes this life story work so well is how Helen Pollard takes the best of France, splashes it with the best of England, and sparkles the mix with humor, hardships, surprises, and feelings, all it takes to realize what happiness is! No holiday is perfect, no plan is perfect, that’s the lesson I learned during this Summer at the Little French Guesthouse! You can plan all you want, have your mother nagging and nagging you, check and double check everything, there is always something that comes in the way, and it’s okay. It’s okay in the end. Just as long as you don’t lose sight of what is important. And keep working on your garden! I fell in love all over again with Summer The Little French Guesthouse, the absolute best vacation read. Helen Pollard is a magician holiday-maker, and she takes you with her on an amazing, genuine and unforgettable trip to the beautiful La Cour Des Roses. This unbiased review is my thanks to the publisher Bookouture for providing me with a copy of this book and letting me kick off the wonderful blog tour this story deserves! You can buy the book right now on Amazon UK or on Amazon US! As a child, Helen had a vivid imagination fuelled by her love of reading, so she started to create her own stories in a notebook. She still prefers fictional worlds to real life, believes characterisation is the key to a successful book, and enjoys infusing her writing with humour and heart. When she’s not writing, Helen enjoys reading, scrapbooking and watching old seventies and eighties TV shows. Helen is a member of the Romantic Novelists’ Association and The Society of Authors. Find Helen on Facebook, Twitter, and WordPress! Don’t forget to follow the blog tour for more French love! I learned about these series through you. Your reviews make me want to travel but of course read the books first 🙂 I love how the characters have developed over the series and how relatable they are. Another fab review! That’s lovely to hear, Diana. Glad you’ve enjoyed the books! Almost like a magical journey in France! Nothing pleases me more than stories and characters being realistic and having a disastrous vacation is as realistic as it can get, especially if you have a large family and/or are planning a wedding! I love the sound of this series. The way you say “the best of French and the best of English’ makes the little guesthouse sound like a perfect holiday destination, with pain au chocolat and coffee and wine. Hopefully some sun…..oh I’m drifting away on a vacation!! I think the book would be perfect summer reading. Brilliant review for a lovely sounding book. 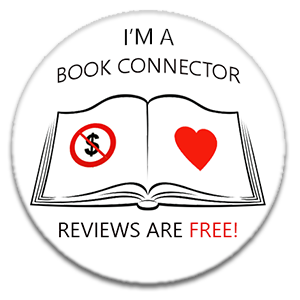 If I were the author I would be asking to borrow your review quotes for book promotion. You are a delightful writer with a real talent for words and descriptions. This is the perfect way to travel to France and avoid the hassle of the trip! The author really captures what it feels like to live here, and it’s fun to see it from English eyes! 🙂 Lots of wine and sun, fortunately, we’re lucky this way! Wow, how cool you were quoted on Bookoutures header. Congratulations and well deserved. I don’t have the luck to go away this summer so I was relying on this book for a little trip, and it did not disappoint! 🙂 Even if it is set in France, I was totally transported! 🙂 I just love how it all sounds familiar to me, and I imagine how wonderful the setting can feel and look for a foreigner! Haha, so much cheaper!!! 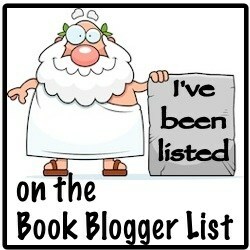 Same here, I’m vacationing everywhere the books take me!! haha me too! But those days are gone, I have too much to read!!! Thanks for visiting, Beth 🙂 Glad you enjoyed the review. Aww this book sounds like taking a wonderful trip!! I want to read it so badly!! Lovely review!! It’s the perfect one-way ticket to France!!! Thank you! Meggy did write the loveliest review! Fabulous review Twin Pea ❤ This sounds like the perfect little beach read. That cover alone is so quaint and inviting! Thank you my Twin Pea!! ❤ It's so relaxing and brilliant to read! Thank you! Yes, the cover is so lovely. I was delighted when I saw it! You are so welcome! And it certainly is. This looks like a very nice ‘vacation’ read. Not my thing, but I’m glad it’s made you so happy. 😀 The combination is absolutely irresistible! It’s not a genre I read a lot, but this one is special! 🙂 Thank you, it was a nice French holiday! Sometimes you don’t have to go far to have a fantastic time!